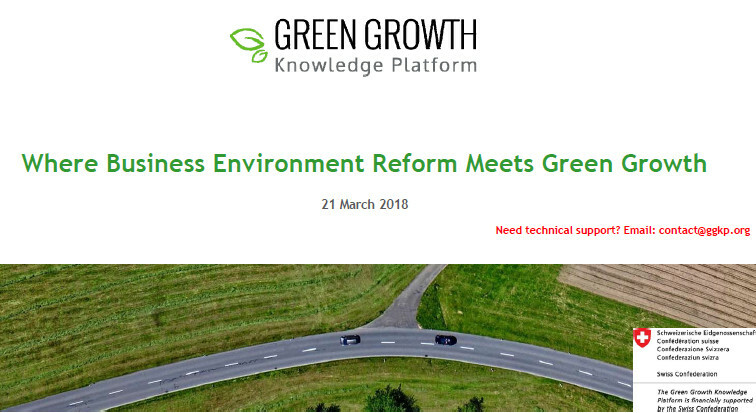 Business Environment Reform (BER) and Green Growth (GG) are two distinct policy domains with their own core objectives and implementation strategies. When and how do they intersect? What are existing approaches to promoting synergies and mitigating trade-offs, particularly in a developing country context? How can policymakers and practitioners from these fields learn from each other? In a recent report, the Donor Committee for Enterprise Development (DCED) answers these questions and shares practical advice including tools and best practices for designing integrated programmes where BER and GG objectives are pursued in a mutually reinforcing way. On 21 March (3:00 PM CET), the GGKP held a webinar featuring an in-depth discussion on the BER and GG nexus with insights from the DCED, the Zambia Green Jobs Programme and the Vietnam Macroeconomic Reforms/Green Growth Programme of the German Federal Ministry for Economic Cooperation and Development (BMZ).